This is the fifth volume of Wesley's Journal to appear in the critical edition of The Work of John Wesley. Covering the decade from mid-1765 to the beginning of 1776, it contains four "Extracts" of Wesley's Journal (14-17) that document--in Wesley's own words--a significant period of growth and controversy in the Methodist movement. He describes in some detail the continuing spread of the revival into the farther reaches of the British Isles, the points of contention that threaten to disrupt the progress of the revival, his widening involvement in social issues such as the slave trade, the various attempts at union with the Church of England, and the spread of the Wesleyan movement to the American colonies. The Works of John Wesley Volume 22 by Richard Heitzenrater was published by Abingdon Press in January 1959 and is our 53721st best seller. 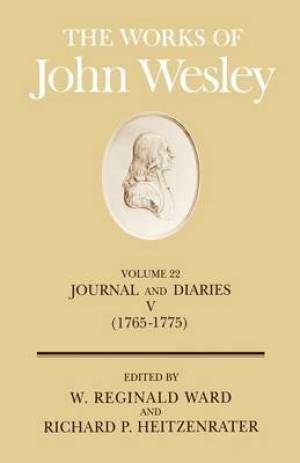 The ISBN for The Works of John Wesley Volume 22 is 9780687462261. Be the first to review The Works of John Wesley Volume 22! Got a question? No problem! Just click here to ask us about The Works of John Wesley Volume 22.